As it scales up its business, Coca-Cola India is putting in efforts to reduce carbon emissions associated with the ‘drink in your hand’ by 25 per cent by 2020. Its effort towards sustainable packaging will also contribute to reducing carbon emissions with the aim of reaching the same goal. 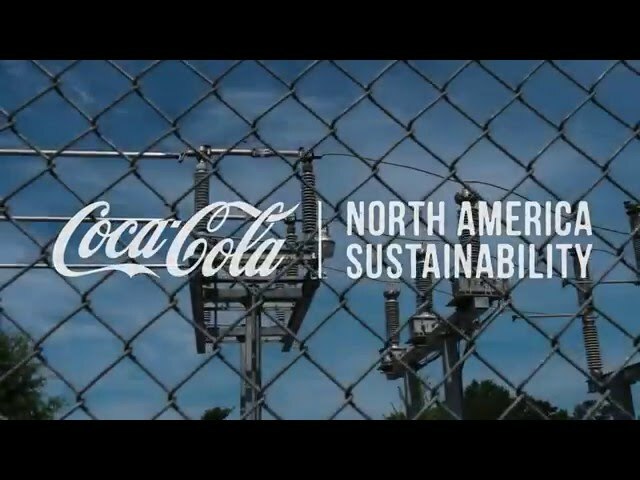 Coca-Cola is looking to raise the bar as a responsible citizen, and is trying to expand its commitment to the environment. Coca-Cola has taken several steps for ‘lightweighting’ its products, which helps reduce the weight of its PET and returnable glass bottles. Nearly 10 per cent of carbon emissions stem from its manufacturing segment and consistent effort is being made to minimise the its impact and protect the climate. Some fundamental changes have already been made. Against earlier designs, there has been 15 per cent weight reduction in the current sparkling PET bottles, 14 per cent in juice PET bottles, 30 per cent in drinking water PET bottles and 33 per cent in returnable glass bottles (RGBs) – all steps that will help Coca-Cola India meets its 2020 target for reducing carbon emissions. There are other innovations which have helped as well. Adding a conical bottom to the Kinley PET has contributed to weight reduction and saving energy in manufacturing. Similarly, in the PET bottles for Maaza, the Company has added the nitro hot-fill line, to reduce the grammage while keeping the shape and pressure intact. Coca-Cola has also manufactured the lightest sparkling beverage bottle which tips the scales at just about 10 grams. All this has a direct bearing on the logistics operations, and hence the environment. When the weight of the resin to make the preform reduces, the overall logistic cost to manufacture the ‘drink in your hand’ also comes down. That, in turn, helps cut down the carbon emission further. Lightweighting among others is an on-going process, and the Company is working towards meeting its goals of 2020 to protect the climate. Coca-Cola India is putting in efforts to make sustainable packaging and contribute to an overall goal of reducing carbon emissions associated with the ‘drink in your hand’ by 25 per cent by 2020. The Company understands that the about 10 per cent of the carbon emissions stem from its manufacturing segment, and is working towards minimising the impact to protect our climate. Among many initiatives undertaken by the organisation, a manufacturing specific initiative is that of lightweighting its products. Lightweighting is essentially reducing the weight of bottles – PET and RGBs. Over the previous designs there has been 15 per cent weight reduction in the current sparkling PET bottles, 14 per cent in Juice PET bottles, 30 per cent in drinking water PET bottles and 33 per cent in returnable glass bottles (RGBs). Innovations like adding a conical bottom to the Kinley PET has contributed to weight reduction and saving energy in manufacturing as well. Similarly, in juice PET, for Maaza, we have added the nitro hot-fill line, to reduce the grammage, keep the shape and pressure intact. We have manufactured the lightest sparkling beverage bottle which is approximately 10 gms. In all, when the weight of the resin to make the preform reduces, the overall logistic cost to manufacture the drink in your hand also comes down, and in turn the carbon emission get further reduced. Lightweighting among others is an on-going process, and the Company is working towards meeting its goals of 2020 to protect our climate.